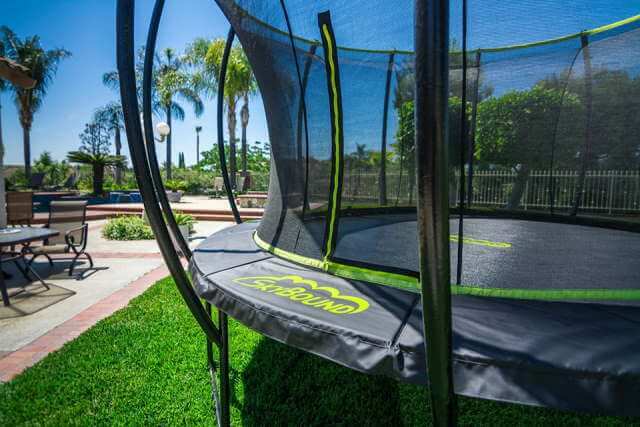 Designed with quality in mind, but without forgeting about safety, easthetics or overall customer satisfaction, SkyBound USA introduced us with newest rising star in trampoline world – SkyBound Stratos. 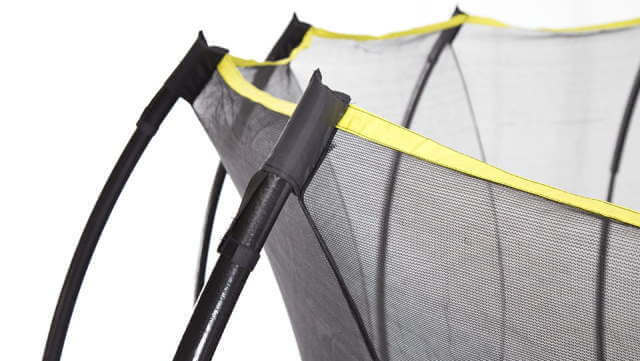 Available in three sizes, from smallest 12ft version to midsized 14ft and largest trampoline from their portfolio and the one we will review – 15ft SkyBound Stratos. 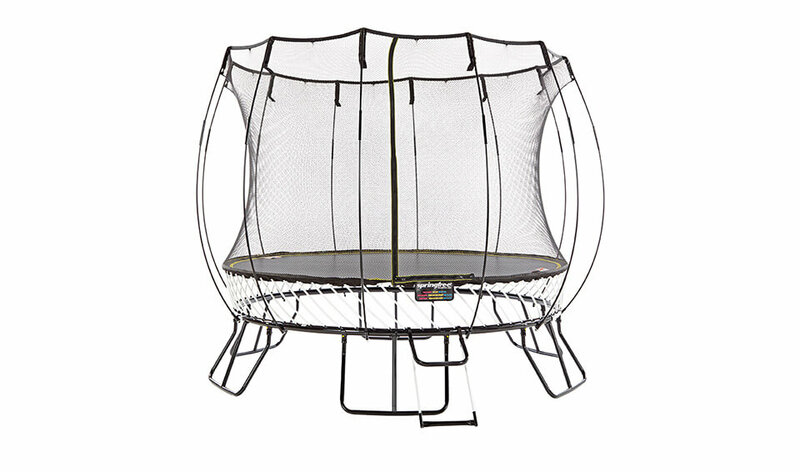 If you are interested in kids trampoline, then check Stratos baby brother – SkyBound Atmos. Check latest price of SkyBound Stratos! While the aesthetics are largely subjective, we dare to say that this when it comes to trampolines, this one isn’t half bad at all. The curved enclosure poles give it an exotic look and yellow accents help it look dynamic and eye-catching. 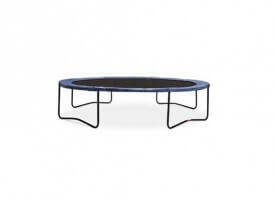 It’s a fairly large trampoline too, so expect it to be a conversation starter once you set it up in your yard. Galvanized steel frame with 6 steel W-shaped legs, powder coated to resist rusting. Frame comes with additional plastic pieces which goes on frame and improves traction on grass or any other surface. 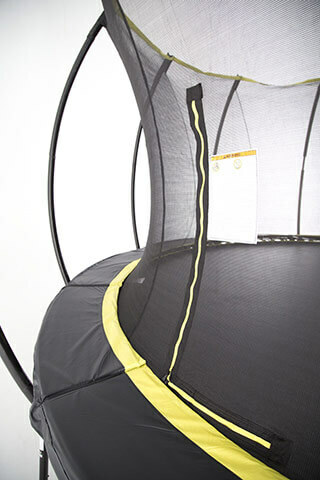 The most striking feature of the trampoline is definitely its 12 pole enclosure system. The enclosure poles are made of steel for increased structural stability and are curved for user safety. The number of poles, it should be noted, is larger than the usual six or eight. This makes the net more stable and less likely to break. It’s very difficult to accidentally bump into one. The net is concave to ensure even more distance from poles. 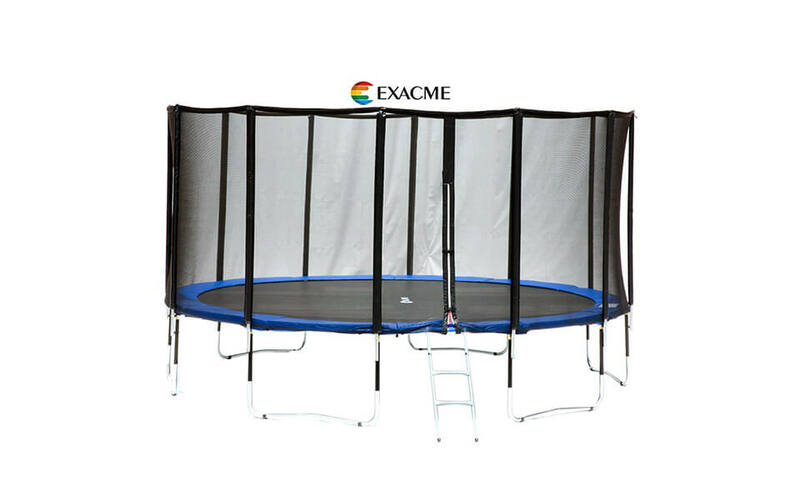 Maybe someone will mind about design as net comes into the trampoline a bit and it can be anoying, but after all this really improves safety. 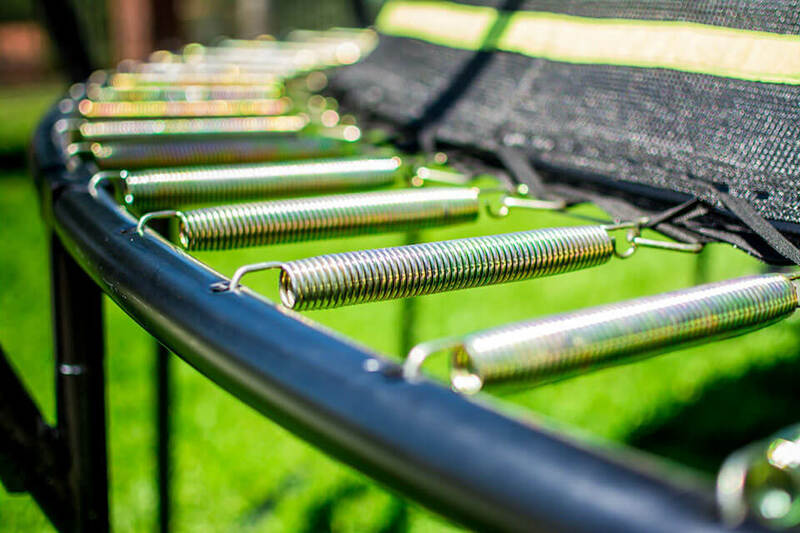 It attaches directly to the trampoline mat’s V-rings to keep you away from metal springs. 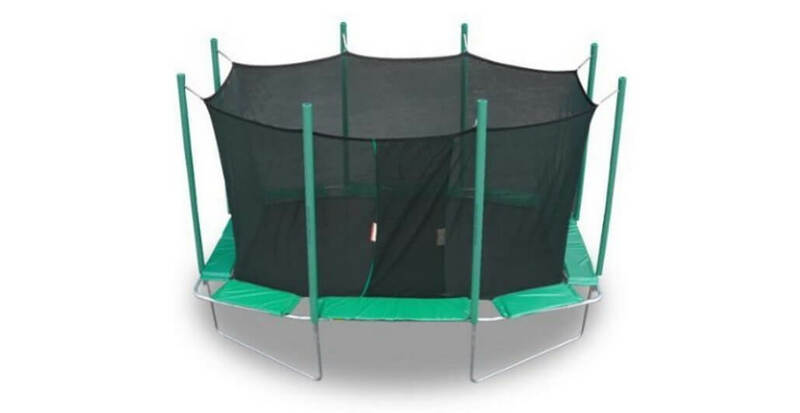 The outer parts of the trampoline are therefore outside the jumping area covered by the net. Even if you do bump into them, the poles are covered in a proprietary blend of foam and PVC material, making it both soft and very resistant to elements. We expect the poles to last very long. They are also powder-steel coated for better durability. Six legs are W-shaped for maximum structural stability and ease of installation. Legs are also powder-steel coated and galvanized. The trampoline is 108” high with enclosure. Saying one thing about mat is enough – Permatron. The pad is shielded by SkyBound’s proprietary blend of PVC and foam, just like the enclosure poles. It is very UV resistant and lasts from 3 to 5 times longer than ordinary pads, says the manufacturer. We haven’t had it for such a long time to put the claim to the test, but it looks believable. 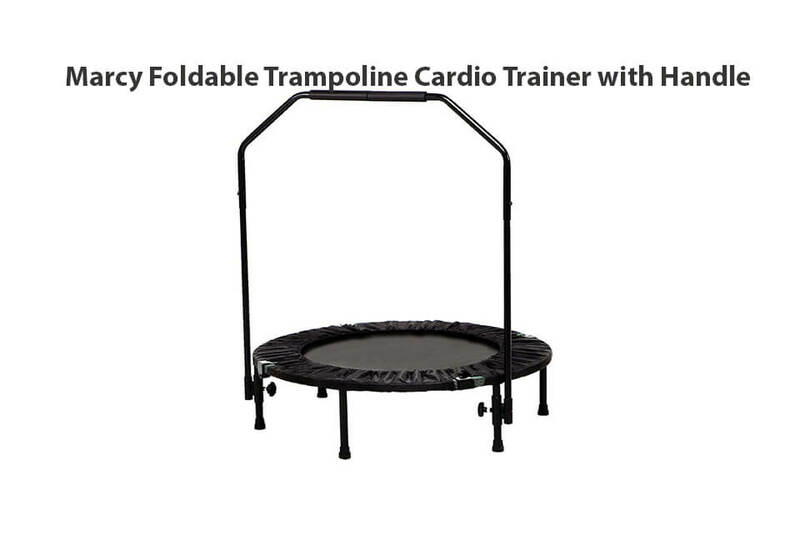 The trampoline is also available in 14 ft. and 15 ft. sizes for a premium of about $50 and $100 over the 12 ft. model, respectively. The 12 ft. model features 84 “premium gold zinc” springs. They are 8.5” long. We expect them to stay rust free. 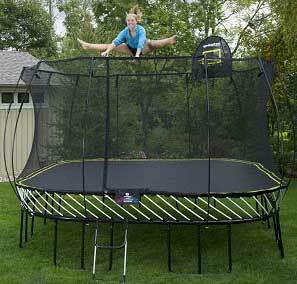 Larger trampolines come with 96 (14 ft.) and 108 (15 ft.) springs. We have not tested those, but we expect the feel to be the same. That is, extremely nice, responsive, safe and high bounce. 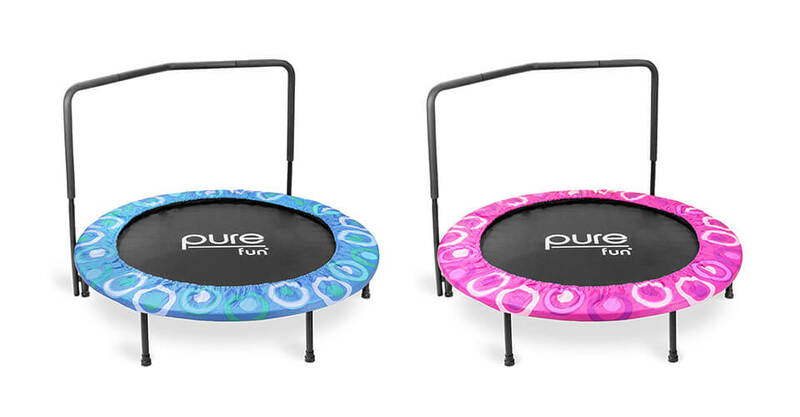 Maximum supported weight is 330 pounds, which is more than enough for two adult-sized people (not that we approve more than one person on trampoline). The spring padding is fairly thick at ¾ of an inch. 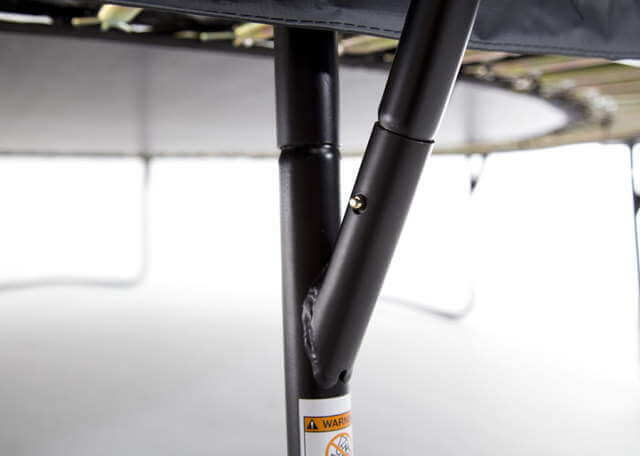 As SkyBound likes to point – lightning-quick set-up without bolts, screws or brackets with so-cold push-pin technology will make installation of this trampoline a breeze. But will it? Even for slightly experienced people installation will take up to 1.5 hours, but without messing with tools, screwdrivers and similar tools. Installation indeed is a breeze but make sure to have extra pair of hands, only because of size. 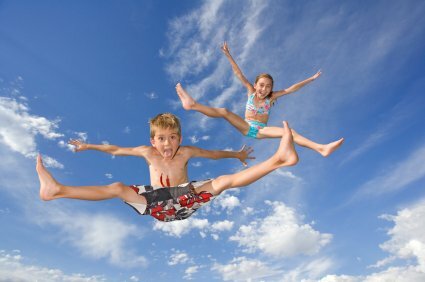 The warranty is also acceptable – Backed by Skybound’s industry leading warranty and meets or exceeds ASTM U.S. Trampoline safety requirements. The manufacturer offers 1 year warranty on springs and net, 6 months warranty on the pad and a 2 year warranty on the mat. The frame is under a great 10 year warranty. Overall, we were extremely happy with this trampoline. The bounce is firm and high and we had absolutely no reliability issues. The installation is quick and the warranty is reasonably long, especially for the enclosure. We liked the way SkyBound was dedicated to safety, and it really shows. 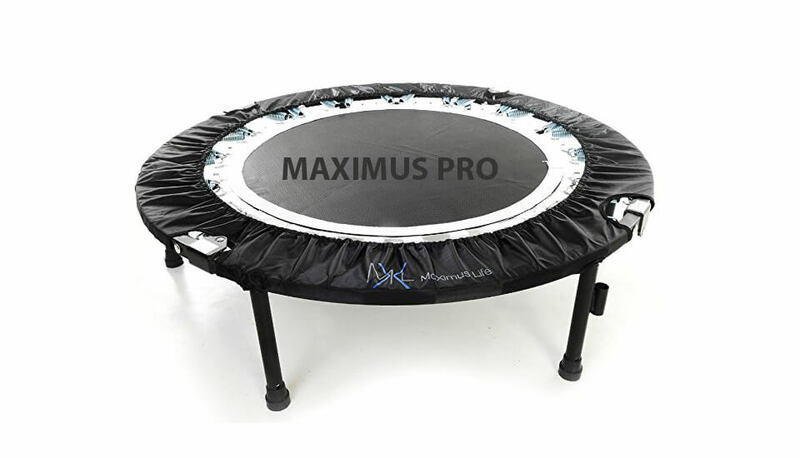 The trampoline is safer than most trampolines we have had on test and coupled with its good rust and UV (sun) resistance, means you will be able to enjoy it worry-free for a long time. It does come at a price, though. 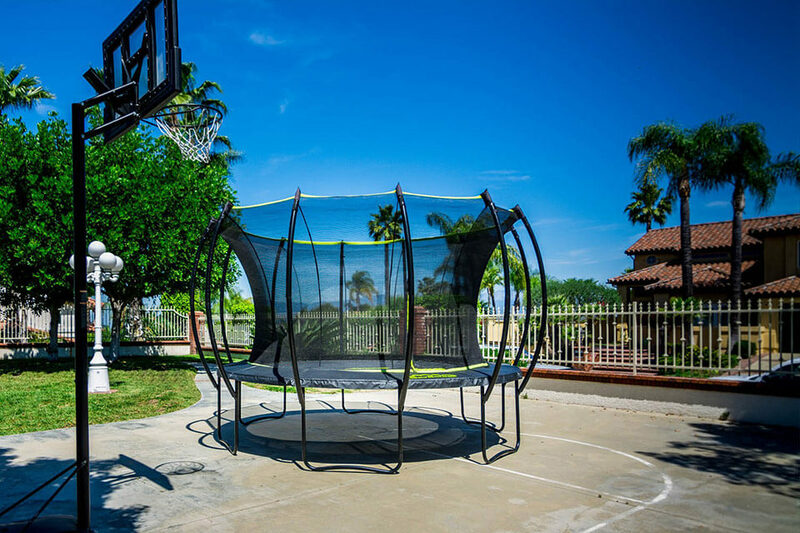 If you’re in the market for a cheaper trampoline, check out our review of Skywalker 12 ft Trampoline with Enclosure or the Jumpsport 12 ft. StagedBounce trampoline. 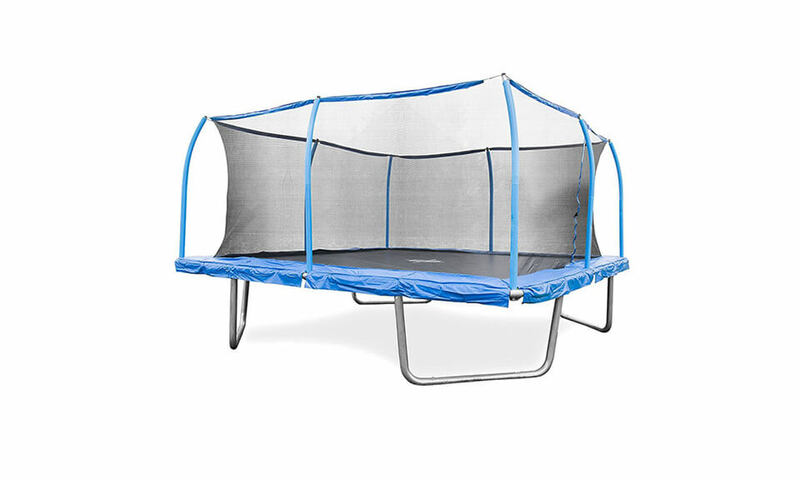 The SkyBound Stratos Trampoline features so called lightning-quick nstall, 12 pole enclosure system, powder coated steel frame, 8.5” zinc-coated springs, 6 steel legs, premium safety pad and 480h UV tested trampoline mat. 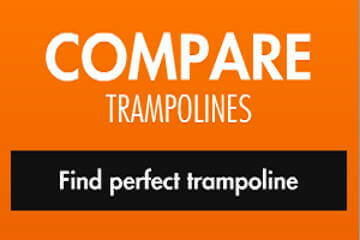 Very good and in same time affordable trampoline with few rivals, one being ACON Air Trampoline.